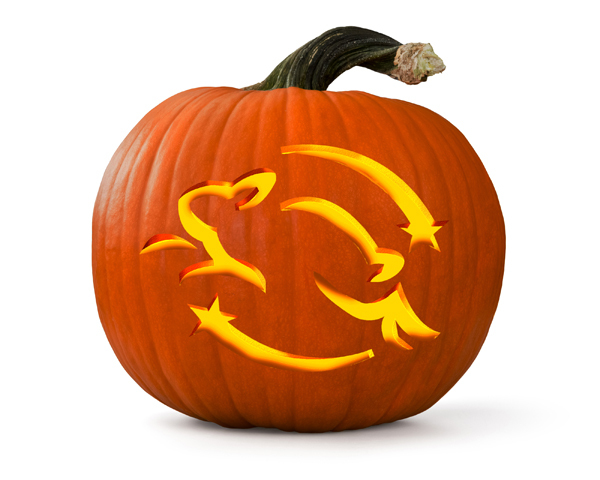 The month of October is coming to a close and Halloween is only a few days away. Time flies by so quickly! Leaping Bunny has been busy as ever gearing up for the upcoming holidays. We were able to sneak in some fun this month, too, and visited PiperWai for our first ever Facebook Live interview. Be sure to check it out if you haven't already. 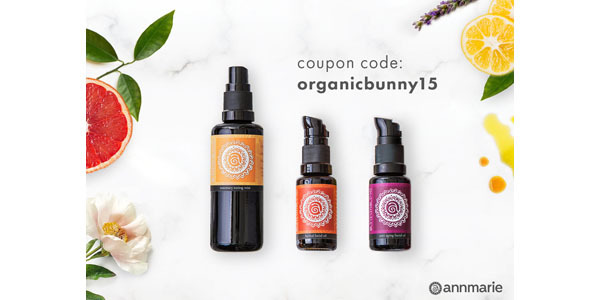 This month's e-newsletter is jam-packed with a special feature on Leaping Bunny certified company Butter Angels, a promotion with the subscription box Petit Vour, coupon codes from Annemarie Skincare and Call of the Vialed, and a giveaway from Alba Botanica. We also share the newest additions to our Compassionate Shopping Guide and an interview with the founders of Kiss My Face founders. One of our favorite moisturizers comes from Butter Angels. Their Lemongrass scent is divine! The company was started by veteran Rolande Sumner and was borne out of a need to combat dry skin. Traditional products weren't helping, so Rolande took it upon herself to whip up her own concoction. Her sister thought of the name Butter Angels because they both love body butter, and of course, they are both angels! 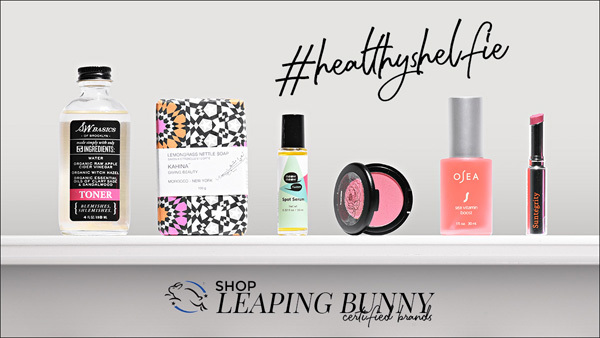 All of their products are vegan and Leaping Bunny certified. They focus on creating non-greasy, fast absorbing natural skin care and they donate a portion of their sales to women veterans organizations and to the Leaping Bunny organization. Rolande says the most rewarding part of creating Butter Angels is helping others through their philanthropic efforts. And, they believe in women's empowerment, our women service members, our daughters, and our fur babies. 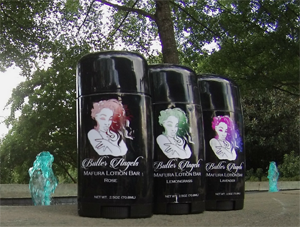 In addition to body butter, other Butter Angels products include a lotion bar, lip moisturizers, and facial serum. Rolande is currently working with her 12-year-old daughter in creating a teen skin care line to be released by Thanksgiving 2017. For Leaping Bunny e-newsletter readers, take $10 Off any purchase over $25 with an exclusive pre-holiday sale at www.butterangels.com. Use the code CRUELTYFREEXMAS. Do you know Petit Vour? If not, you really should check them out. They are a cruelty-free beauty subscription box service that sends you a monthly package of vegan luxuries (over $35 in goodies for just $15!). 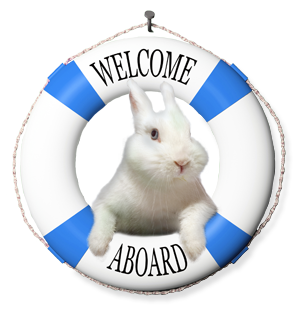 They also have an e-commerce section on their website with a special Leaping Bunny Shop! For a very limited time, you can receive a FREE Coffee Bean Caffeine Eye Cream by 100% Pure ($25 value) with any purchase from the Leaping Bunny Shop at PetitVour.com OR any new subscription box signup* and 100% of profits will go to the Leaping Bunny Program. That is an amazing deal, but it's only from valid Oct 27 - Nov 3. Enter Code: LEAPING BUNNY. *Offer may not be combined with PV Points Discount Codes or others promos. 1st-time subscribers only for subscription promo option. Offer valid 10/27/16 through 11/3/16. Making the cruelty-free commitment never wanes and companies continue to share their passion for creating products that are free of animal testing. Be sure to check out October's latest additions to the Compassionate Shopping Guide below and click on their links to learn more. Skincare made with naturally rich hemp oil, which works wonders on dry skin, acne, wrinkles, scars, sunspots, eczema, and psoriasis. Natural sun care and essential oils that are free of harsh chemicals and good for the environment. Nail polish that is 5-free, non-toxic, cruelty-free, vegan, and made in the USA. Cosmetics and personal care products designed to help you look good while you run, lift, dominate, and live an active life. At home hair color with ingredients you can feel good about using. Free of ammonia, resorcinol, parabens, phthalates, gluten, and PPD. An ethical and socially conscious lifestyle brand designed for the modern family and home. Products are vegan, cruelty-free, and do not contain harsh or harmful ingredients such as parabens, sulfates, petrochemicals, and phthalates. Beauty secret ingredients from around the world and passed down from one generation to the next paired with the newest, clinically based ingredients for the most powerful skincare products that deliver. Luxury 100% plant-derived natural and organic skincare collection designed for the ultimate purest. A variety of personal care products formulated with the purest chemical-free coconut oil on the market. Beard products to moisturize facial hair and the skin underneath, hydrate the skin, and help to soften and tame beard hair. Skin care line that is handcrafted, eco-friendly, and packaged with 100% recycled materials. 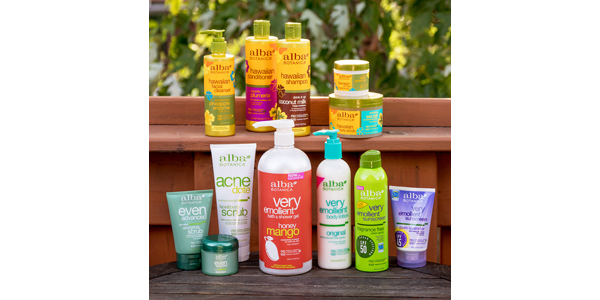 Exclusive giveaway with Alba Botanica! One lucky person will be chosen to win an assortment of their products. To enter, click HERE. Contest ends October 30, 2016. 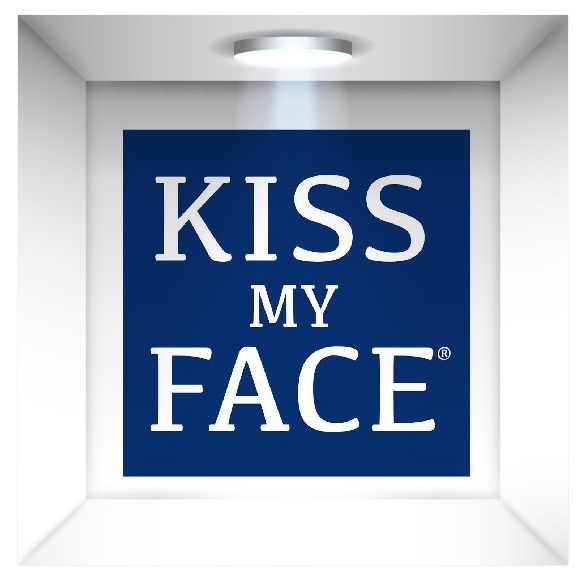 This month, we are super excited to interview the founders of Kiss My Face, Bob Macleod and Steve Byckiewicz. 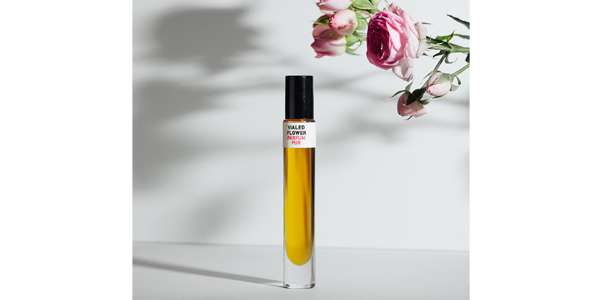 Kiss My Face is one of the original Leaping Bunny certified companies and we were curious to learn about the origins of the company during a time when cruelty-free wasn't such an important topic in the cosmetic industry. Read below to learn more about this innovative company. Kiss My Face has been Leaping Bunny certified for 20 years. What was the cruelty-free industry like 20 years ago when cosmetic testing wasn't an issue in the spotlight? 20 -25 years ago, smaller, more creative brands were "hopping" on the cruelty-free wagon, which actually helped us. There's power in numbers. It took much longer for the global companies to wake up. How has Kiss My Face been able to grow and adapt over time as a cruelty-free company? We've been able to keep on growing through constant innovation and a keen ear to our followers. Why was becoming Leaping Bunny certified important to Kiss My Face 20 years ago? Why does it continue to be important? Frankly the Bunny gave us a big advantage. We regularly shopped in Natural Food Stores and as a result, we understood the customer better than much of our competition. They loved the fact we were "cruelty-free." Is there a story behind the name Kiss My Face? The name Kiss My Face was sort of "divine intervention." We didn't have any money. In fact, we were making just a few products at a time, personally delivering them to stores, and then using the money to make more. Most of the companies emerging in the early 80s were "nature or natural" something, or maybe using the words "earth" or "planet." Being broke, we knew we'd have to stand out from the crowd to get noticed. "KISS MY FACE " got their attention, much to our delight. What are your favorite products and why? We both have SO many fave Kiss products. Hands down, we have THE BEST shave cream ever, and our toothpaste is unmatched. What is something unique about Kiss My Face that others may not know? One of the most unique things about KMF, and something that ALL of our most loyal fans know, is that it's an amazing value. We make products from the very best ingredients we can source and we don't charge a whole lot for them. GREAT value has also been part of the brand's DNA. The natural scents we employ, the herbs, the extracts; they're all the highest quality available. It's really no mystery either, the wise consumer can simply read the label on a $25.00 product and then ours. 15% off with the code organicbunny15. Valid through 12/31/16.